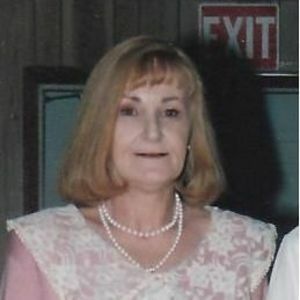 GREENVILLE- Connie Marie Lear, 68, of Greenville passed away on Friday, January 30, 2015, at 9:08 AM at her residence in Greenville. Mrs. Lear was born April 30, 1946, in Lexington KY, was a homemaker. Survivors include her sons, Jeff Harper of Frankfort, and Michael(Michelle) Lear of Greenville, daughter Mattie Renee Lear(John Rivers) Ward of Powderly, grandchildren, Justice Lear, Gabe Ward, Ashley Ward, Nick Lear, Dillion Bruce Harper, brothers Billy Pennington of Texas, Mark Pennington of Lexington, Darren Pennington of North Carolina, nieces, Ann Alise and Lisa Pennington, nephews, Tate, Truman, Brian, and Reed Pennington. Preceded in death by parents William and Mattie Pennington. Funeral services will be at 1:00 PM, Tuesday, February 3, 2015 at Tucker Funeral Home in Central City, conducted by Bro. Allen Knight with burial to follow at Rose Hill Cemetery in Central City. Visitation will be after 10:00 AM Tuesday at the Funeral Home. The beautiful and interactive Eternal Tribute tells Connie's life story the way it deserves to be told in words, pictures and video. She was one our family's best prayer warriors, and her caring heart and willing soul will be missed by her family, friends and everyone who knew her! Looking forward to our heavenly family reunion!